Route Planning is fun, tedious and daunting in more ways than one. First, I come up with this idea of a ride in a particular place that pokes my interest. In this case Colombia, a country I’ve never visited before. I then go on google maps to check out the region, a few clicks here and there at images, and then comes the need of using more advance software to build my route. On road touring can give you the ability of plugging in a point A & B address to have a line automatically drawn out for you, where as bikepacking is a little more involved because you are using off road trails, fire roads, rail trail, and often times unridden or unmarked paths that don’t always show up on google maps. 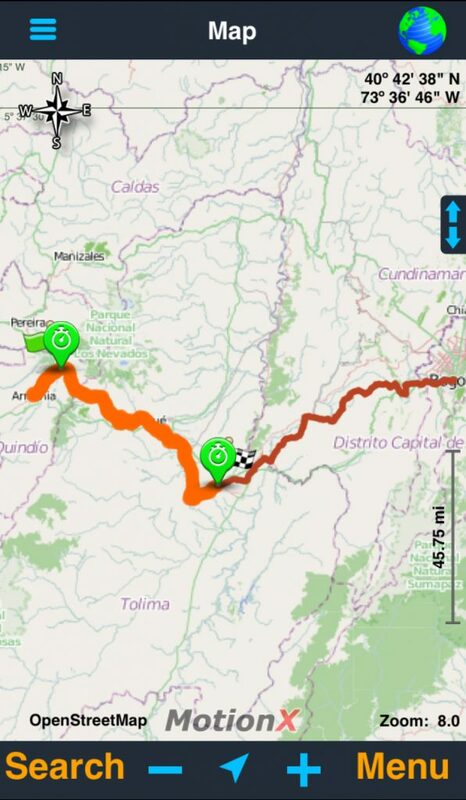 This was the case when planning the route for Colombia. Part of my process involves paper maps, online topo maps, and advance mobile apps for mapping. 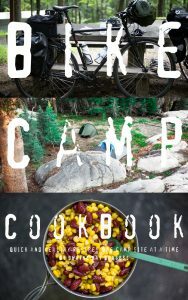 In this write up I will walk you through some of the programs and processes I use for navigation and resources to support my overall bike adventures. The software always varies depending on the ride. For local adventures I use basic point A to Point B software like Ride With GPS. I usually build my route referencing it with Google to zero in on my location. This helps if you want to see what the area of your route actually looks like You can go as far as using street view and Google Earth for a closer look. A fast search online to see if other riders have traversed the area via bicycle is another option. That can help you build your route as well. Garmin Basecamp software is another great platform with so many tools for building a solid route. You can setup waypoints, notes, gather elevation plots, install dedicated maps and easily export the completed route into different formats like gpx and tcx files to use for navigation devices. For mobile navigation I am currently using Gaia GPS along with MotionXGPS as backup. Gaia GPS is great because you can plan out a route in the native software or upload your route that was previously built in other software programs like Basecamp or Ride with GPS, and have it sync up directly to your mobile phone. The desktop software works hand in hand with the mobile app with the syncing feature. It’s such an intuitive process for workflow because it shows up almost instantly. MotionXGPS is a little different and getting your route loaded on to the app requires you to send it via their file sharing software via iTunes. It’s fairly simple to do but a bit of a learning curve. You can also email them your finished route and they will send you instruction on installing the route to the app. It’s fairly simple. The first step is to determine if your route is going to be a loop or a thru route. A loop begins at point A, circles around your desired region and ends back at point A. Thru route begins at point A and end at point B. Loops are easier to take on. You can get to your location, ride and end up back there however many days later. A thru route is a bit more difficult because you begin at point A, then ride to point B. You then have to figure out how to get back to point A. While both will be exciting adventures, just keep in mind that you will need to figure out how to get back. Options like, renting a car, hitchhiking, Uber (possibly) or doing your route in reverse are options. 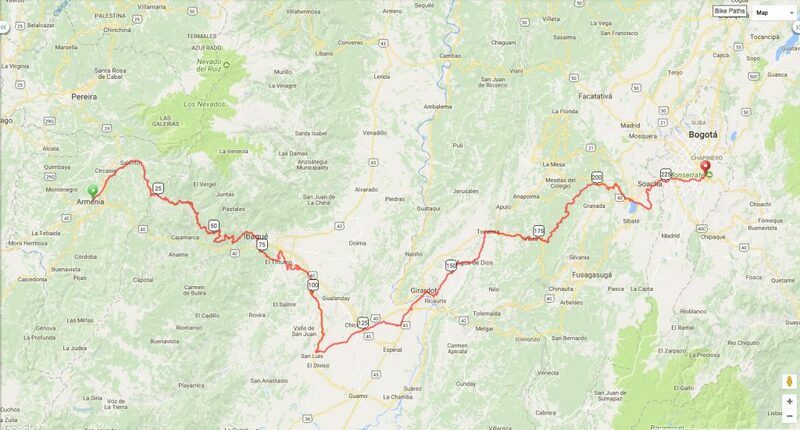 For our upcoming Colombia trip we are taking a bus 8 hours from Bogota to Armenia, our starting point. Then ride back to Bogota. This would be considered a thru route. 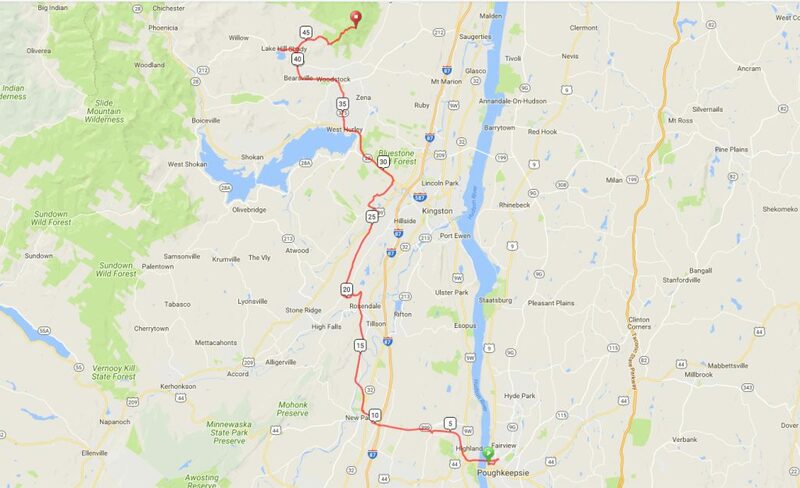 The first route I officially planned was cycling from Poughkeepsie, NY to Woodstock, NY. This was a thru route that we also road in reverse. It’s a total of 70 miles round trip, and was built using Ride With GPS online software. My starting point was at the Metro North Station. The route then leads you through rail trail systems and ends in the main town of Woodstock, NY. While it’s simple to plug in an address, you definitely need to zero into your route and use other resources to support your route planning. This is when Google Earth and street view come in. These tools give you the ability to view roads to get a closer look at what you’re getting into before setting off on your adventure. As mentioned earlier, it doesn’t work everywhere. Colombia is a country I’ve always wanted to visit. While the media still reports talk of coca fields, rebels, violent crime, and kidnappings. Most travelers would opt for a location far from here. It’s true the country does have challenges with poverty and other unironed creases, but apart from the media reports, tabloid headlines and negative news bites from blog post, Colombia is a thriving country. It’s grown to be a major tourist destination with improved security. Cost are also low so now is a good time to go. Colombia is an epicenter for bikes. It’s known for breading some of the top class road & mountain bikers and has an array of overlanding terrain. The rich culture and biodiversity, along with its coffee history drives my interest in visiting here. One of the more popular locations I want to visit is the Wax Palms that seat in the central region of the Andean Mountains in Quindío. The Wax Palms are incredible palm trees native to this region and Peru. They sit in the Cocora Valley spanning as high as 200 feet. So southwards we go. I plotted this route using Garmin Basecamp software. I then moved it to Ride With GPS for a secondary map overview and finally to Gaia GPS for the mobile app navigation and routing. 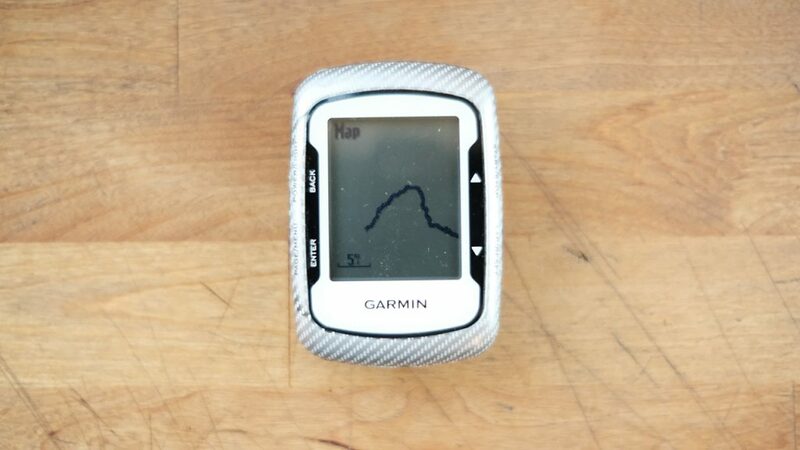 My dedicated GPS for navigation will be my Garmin Edge 500 which draws a track for you to ride on. 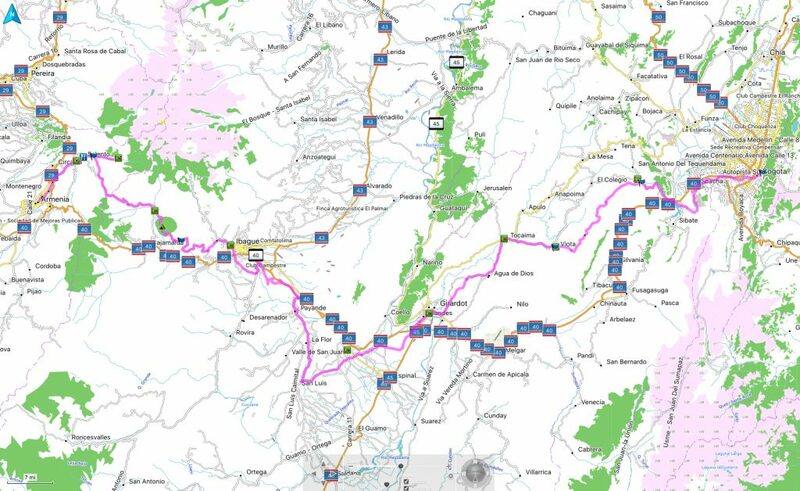 We’ll be riding from Armenia and heading northeast passing through Salento, with a stop at the Wax Palms, then back to our route heading southeast to Ibague, Giradot, Tocaima, Viota, and finally ending in Bogota. A total of 233 miles of cycling. Below is a route plot for the ride we’ll be taking on trough these destinations. I’ll be posting after the trip is completed with a full report along with the traditional gear breakdown hopefully before departure. If you have question leave them in the comments below.